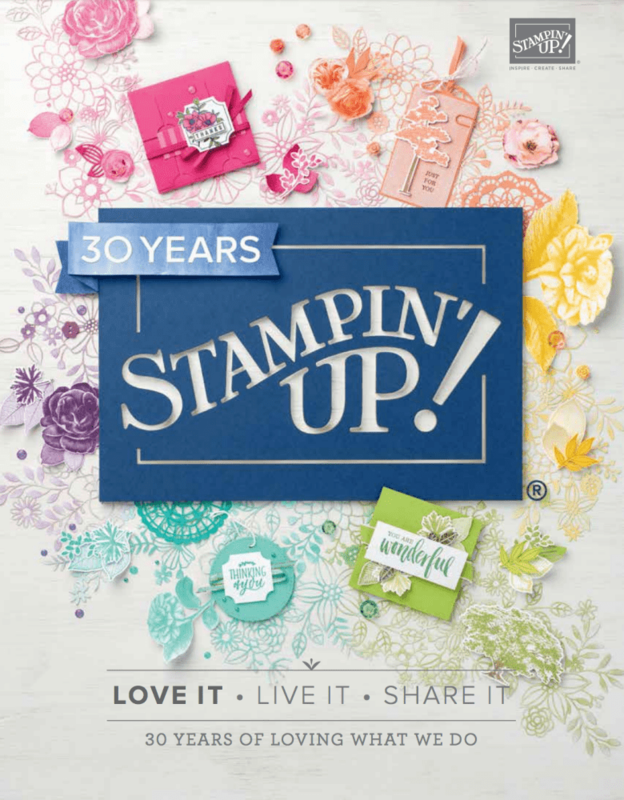 Over the last few weeks, I’ve shared with you some projects that I have created using the new products that are in the 2018 Stampin’ Up! Occasions catalogue along with some using the FREE products that will be in the Sale-a-bration promotion. I love to share these creations with you and give you some sneak peaks into what is coming in January. The new catalogue is exciting with lots of new products and I have been visiting the post office with batches of the catalogue and sale-a-bration brochure and these have been winging their way to the recipients. I hope that those that receive them enjoy seeing all our new products. As I can’t share the insides of the catalogue online just yet, the front cover gives you a hint of some new products. Have you worked out the colours? This is part of my fun when a new catalogue comes out! The cover gives you some project and this cover has three lovely cards that you can create. 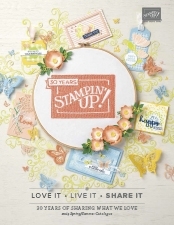 I love the cake soiree which is also available as a bundle so you get the stamps and the dies with a 10% discount, you will find this on page 12 of the catalogue. This suite is amazing as also in the range are some decorative masks and the silver embossing paste that I showed you in an earlier post. Now the butterfly. This is such a lovely stamp, being big and bold, it is called simply ‘beautiful day’ and is a 5 piece stamp set. This is one that works well with the Brusho®Crystal Colour – yes, we have Brusho®Crystal Colour coming! I thought I’d drop that in! It’s a great stamp for watercolour techniques. Now the ‘celebrate’ card. These cards are created using the Picture Perfect Birthday stamp set. This is an 18 piece polymer set which has a lovely range of sentiments. I also love the ‘ribbon’ bow which is a two-step stamp set and the simplicity but effectiveness of using different coloured ink pads. I envisage this will be a great product line card to make for my card packs and will be even easier to put together once my Stamparatus arrives. I hope you will enjoy looking through the catalogue and be inspired to create your own masterpieces. Did you figure out the colours used on the projects? Peekaboo peach, bermuda bay, pool party and berry burst.